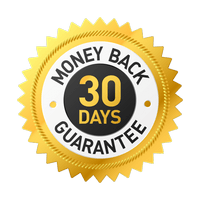 We are so sure you’ll be happy with your purchase that we offer a “30-Day Money-Back Guarantee”, from date of purchase, to ensure customer satisfaction. If for any reason you wish to discontinue using TheraPee, we will promptly issue a refund. Simply contact us at [email protected] and request to return the product. We will get back to you within 24 hours with return instructions. Product must be in original condition and packaging. After receiving back the package, we will refund you 100% of the product’s price – excluding shipping charges. 1. When the alarm or pad, or parts of the alarm or pad, are missing. 2. If the software and the online chart shows an improvement of three consecutive dry weeks or more.